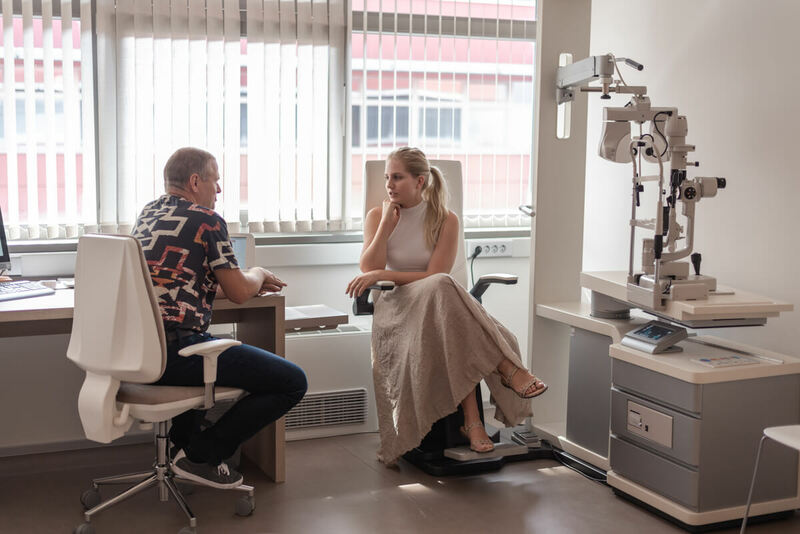 Q&A about laser eye surgery and why did I decide to have it? Everyone with bad eyesight will understand the struggles of living with prescription glasses and contact lenses. You are most likely familiar with the situations when you have to tip-toe on your way from the bedroom to the bathroom in the middle of the night while trying not to slam into the wall or an object (a clean apartment helps!). The thought of driving without your prescription glasses is horrifying to you, because you already feel dangerous enough just walking the streets without them. And to top it off, your glasses always fog up when transitioning from the outside to warmer spaces during the winter. Summer days can be a bother too, as they come with a lot of sweating, which isn’t the loveliest combination either. I’ve also had bad experiences with contact lenses in combination with water, which made it difficult to enjoy water activities during my travels. I even had a situation when something fell into my eye while I was in Thailand, but I couldn’t remove my contact lens, since I didn’t have a chance to wash my hands. As you probably know, as a blogger, I love makeup and use it quite often due to the nature of my job, but applying makeup products without contact lenses was downright difficult– even though I was near-sighted, which means that I couldn’t see the objects clearly, but could see well enough for close-up tasks such as reading books, the 20-centimetre distance from the mirror was too much for me to make an accurate eyeliner. And let me tell you, removing your contact lenses right before going to bed if you’re tired or a bit tipsy on a rare festive occasion, is a real test for one’s patience. My biggest advice is not to ever go to bed with contact lenses, coming from a big and painful lesson of mine (puffy and red eyes included!). All of these struggles are probably not unknown if you have bad eyesight. Also, the monthly expenses are quite large if you’re buying them at the local optics store at the last minute. I lived with bad eyesight for a lot of years, since primary school when my starting point was minus – 2.5 dioptre (it normally starts around -0.50 dioptre). The reason why I opted for eye surgery is therefore simple. Before the final decision was made, I had numerous questions running through my head, also receiving a lot of them via Instagram after announcing that I was going to attend this procedure. Today I am answering some of your most common questions. In the next blog post I will describe how I got from -7.00 to the perfect eyesight I have today. Which clinic did you choose? I chose VIDIM očesni center in Celje, which operates under dr. Drev. 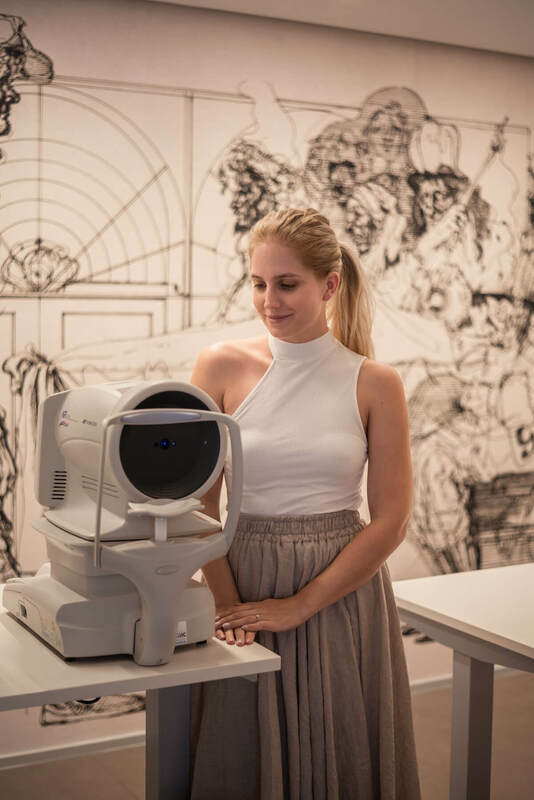 As one of the best ocular centres in the field of sight correction, they have 25 years of experience under their belt. 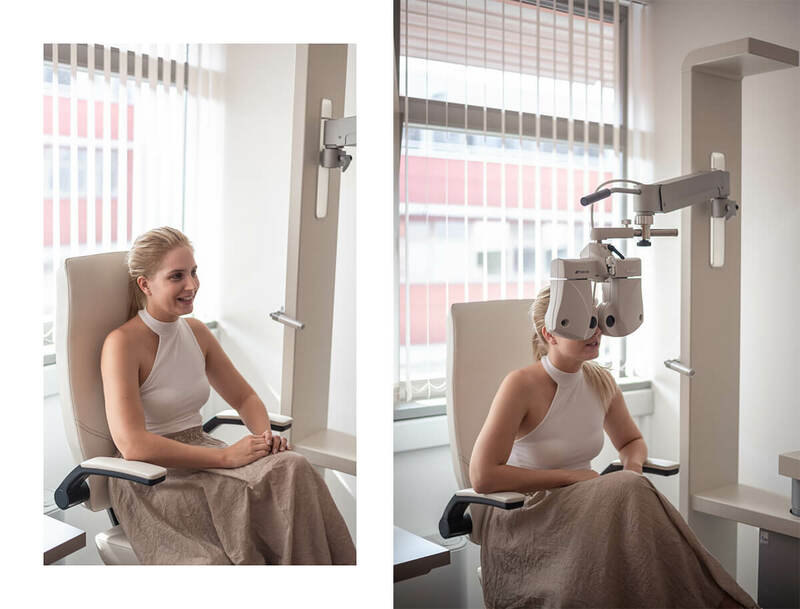 They are also the only ones who perform the newest and the least invasive method of laser eye removal surgery – ReLEx SMILE (in Slovenia and Croatia there’s no other clinic with a license to perform this method – I heard tons of recommendations about it and about this exact centre. The very first thing that convinced me was their attitude – kind, warm and professional. I have nothing but kind words about every single person I’ve encountered there. Which type of procedure did I choose and what are the costs of an eye-removal surgery? I was crossing my fingers to be a suitable candidate for the ReLEx SMILE laser eye surgery and luckily I was the right candidate. 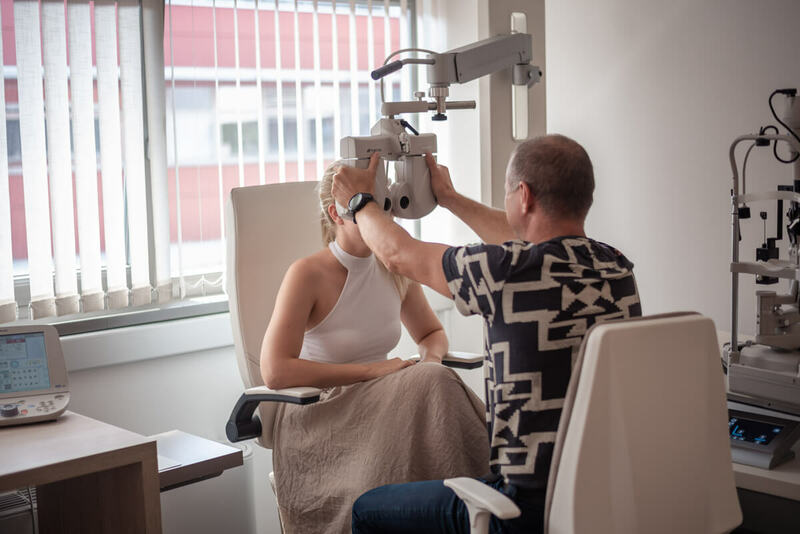 The type of procedure is recommended to you by the surgeon, depending on your needs, the different parameters, condition of your eyes, your age, etc. 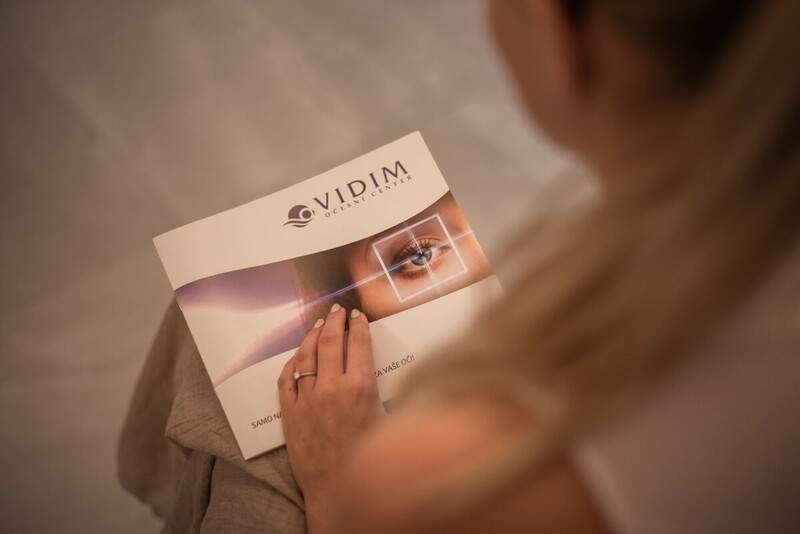 Besides the eye-removal surgeries the VIDIM ocular centre offers other options of improving your eyesight and reducing your dependence on prescription glasses and/or contact lenses, such as intraocular lenses or cataract surgery. The differences between all of the procedures will best be explained to you by a professional (you can dial +386 80 16 13 and a nice lady will gladly help). I gathered all of the information via their website and their personal explanations to me, so I could sum it up to you. If you don’t understand the whole process immediately, don’t you worry, professionals can explain it much better in person. The price is mostly depends to the type of procedure. The first and the oldest (and the most invasive) laser procedure is the PRK procedure, used to remove tissue directly from the eye’s surface to change the curvature of the cornea. Recovery here takes the longest and people nowadays rarely decide for it, even though it’s definitely the cheapest (if I remember correctly, it costs around 500 euro per eye). The second type of laser eye surgery is FEMTO –LASIK. The eye surgeon uses either a computer-controlled instrument or a laser to create a very thin, circular flap of tissue in the outer cornea. 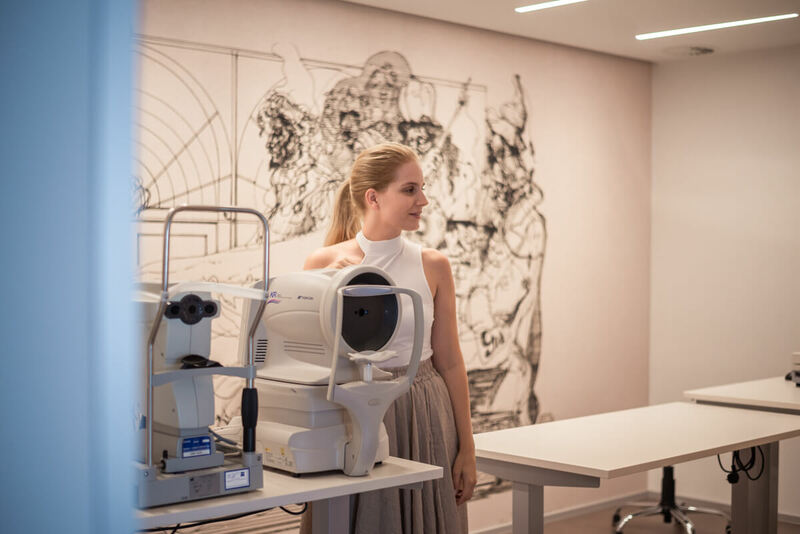 It is the most common form of laser eye surgery and also the most wide-spread in Slovenia and Croatia, offered by a lot of clinics, including VIDIM očesni center (the price ranges between the first and the third option). 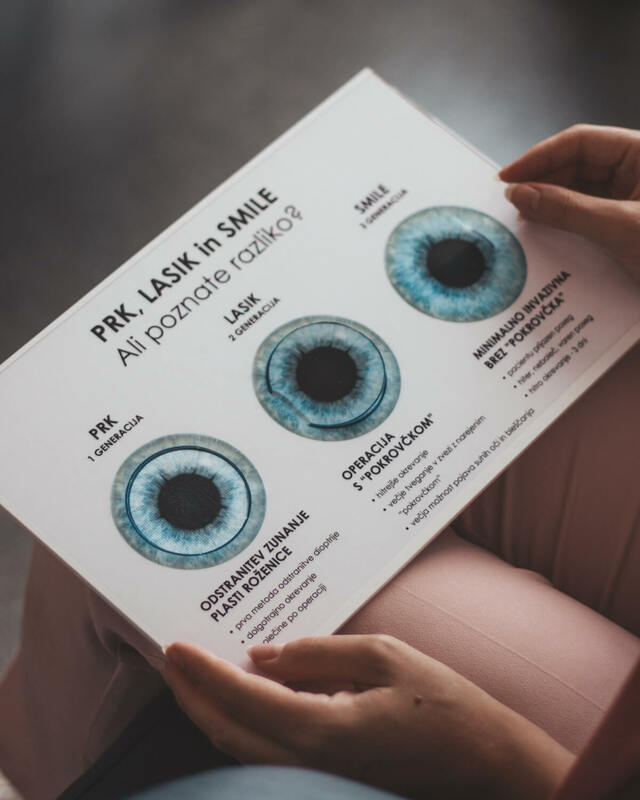 LASIK’s main advantage over PRK is that there is little or no discomfort immediately after the procedure, and vision is usually clear within hours rather than days. The third method, ReLEx SMILE is the most recent one, carried out on the special Femto laser- Visumax. The good news? It takes the least time and the recovery is also quick. The surgery is painless, I swear! When my friend was in the consulting room with me, her first question was: »Why do people decide for other types of procedures then«? In the majority of the cases it is due to the price, since it’s the most expensive (1750 euro per eye). With this method, pulses form bubbles less than 1/100th the width of a human hair, and outline the tissue that needs to be removed to effectively change the shape of the cornea. The laser then creates a tiny connecting tunnel through which the surgeon draws out this tissue. With ReLEx SMILE, no flap is created, so the healing time is faster than conventional LASIK. The procedure takes a matter of minutes, and the vision is instantly better and reaches 100% within a few days. One of the other main advantages of the treatment is that, due to its less invasive nature, ReLEx SMILE allows correction of even higher myopic prescriptions than previously treatable by standard LASIK Laser Eye Surgery. If I remember correctly, this method is also the only laser eye surgery, allowed on American army pilots. The simplest way to understand all the differences is summed up in the display below. On the very right, you can see the ReLEx SMILE method. How does examination prior to the surgery look like? 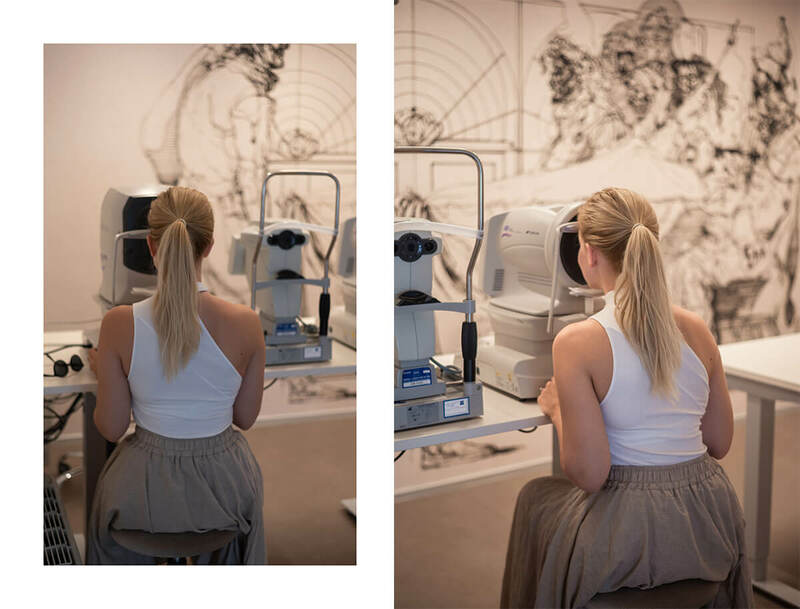 The ophthalmological examination takes about 1-2 hours and it encompasses everything. You sit in front of a ton of machines, which measure all the necessary parameters, so the certainty of you being a good candidate for the surgery is at the highest possible level – they also measure which type of procedure you are suitable for and what results to expect. 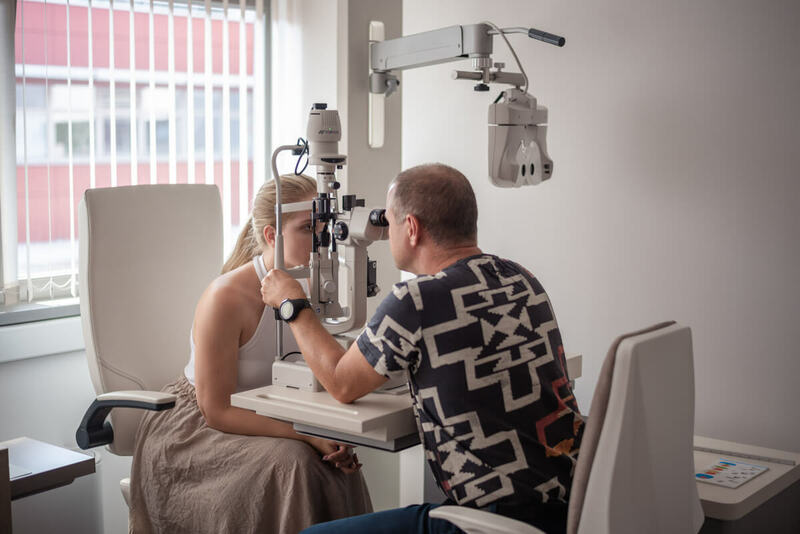 Multiple times they check your vision, possible cylinder – other ocular flaws, curvature and thickness of the cornea, the backside of your eyeball, the health of your cells and the quality of your tears. Otherwise the examination is completely painless and even though it lasts for quite a lot of time, it passes quickly. I was much calmer when I saw the amount of care they put info my examination – there was no question that I’m an appropriate candidate for the procedure. On the day of the surgery, they repeated some of these procedures. Can you attend the laser eye surgery even if you have cylinder? Up to which dioptre is it possible to operate? 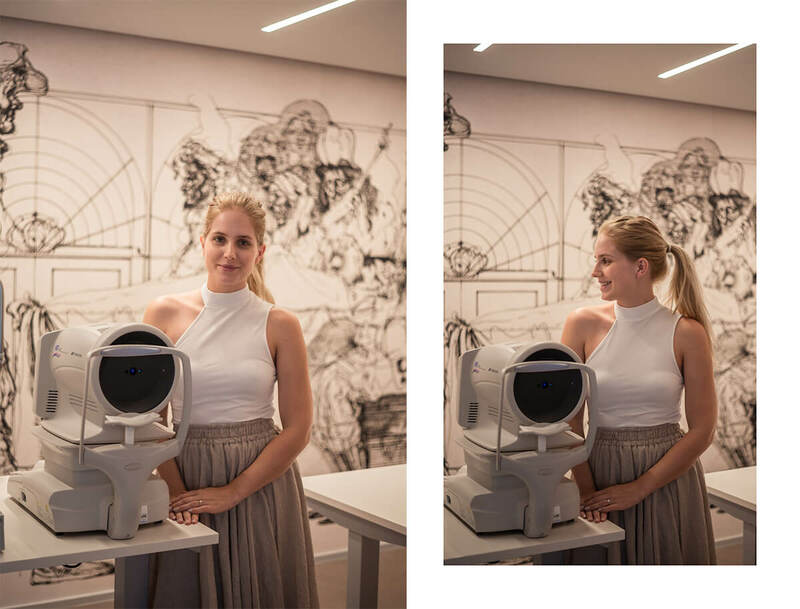 With the ReLEx SMILE method it is possible to remove up to a -10 dioptre (so only near-sightedness and not farsightedness) and up to a -5 cylinder. When I asked about what’s the lowest dioptre they can perform a procedure on, the doctor answered it depends on the individual. When are you suitable for a surgery? How old must you be? Does the dioptre need to be stable before attending the procedure? The examination reveals whether you are a suitable candidate for a specific surgery type. However, the general rule is that you wait with the procedure at least until you are 21, with the best results after the age of 25 (especially if you are studying). After the age of 25, the dioptre slowly stops changing. Generally, the dioptre should be stable for at least a year or more (according to the tests mine was stable for a solid year). There are no severe risks or side effects. If there is any trouble during the procedure (before they take out the part of the cornea, when the laser is still shaping or “cutting”), they simply stop (so they don’t take out that part of the cornea) and it closes up by itself – and your vision is the same as it was before (the dioptre doesn’t change). These cases are extremely, extremely rare and depend more on you as a patient – for example, if somebody suddenly moved on their chair, while the laser was working. The laser is extremely precise, so errors are unlikely. Wounds can’t happen as it is so sensitive that it stops working in less than a second. Side effects after the surgery are dry eyes or light sensitivity, which can last a couple of days. The most common side effect is shining, which can last from a couple of days or even weeks. It extremely rarely remains for ever (maximum of one case per year: the same goes for LASIK surgery). 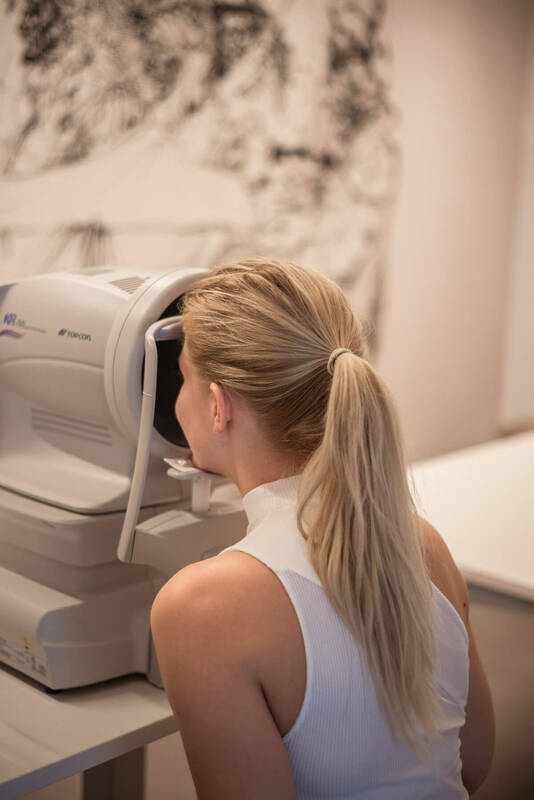 In most cases the dioptre improves so much that you have 100% (or even better) eyesight, in rare cases it happens that the dioptre stays at about -0.5 (it happens once per year and it is possible to repair it in multiple ways). The eyes are sensitive after the procedure, so you have to follow some rules and consider some limitations (more in the next blog post). No pain is present (at least in my case). And one important fact to clear up – you can’t go blind after the surgery. I asked the question several times at the request of my followers and the answer is no. Can the dioptre come back after the surgery? Yes it can. With the ReLEx SMILE laser method your ocular lens stays in the eye (it is not substituted), so it’s possible that your eyesight can still deteriorate a little. You can also expect (as the majority of the population), that you will get farsightedness (hyperopia) as you get older (dioptre +, reading glasses). In this case, if you had a ReLEx SMILE procedure before, you can do the intraocular lens procedure. I am good for now and will think about that after the age of 50. What about pregnancy? 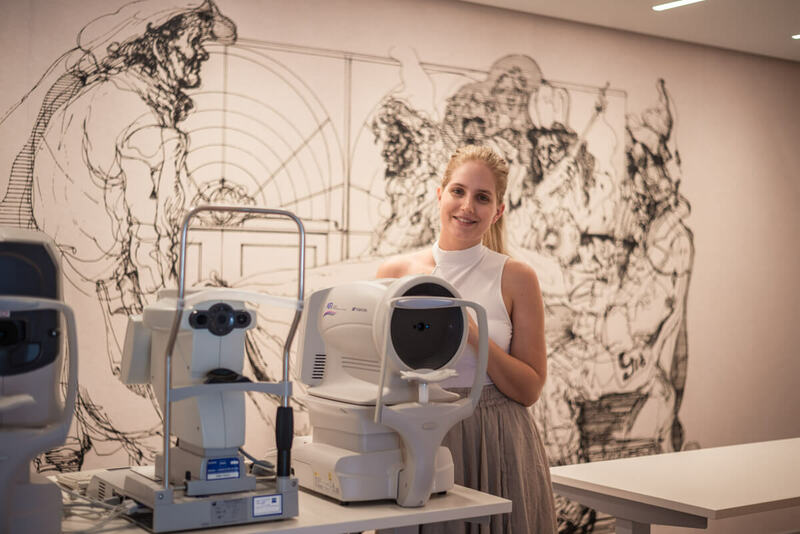 Should I go to the eye laser surgery before childbirth or should I wait? For the ReLEx SMILE procedure, giving birth is not a problem, while the LASIK method could be a bit more problematic (and even that one not that much). During your pregnancy or breastfeeding the procedure is not advisable. For all the questions regarding the oscillations of the dioptre before and after the delivery, I advise you to ask a specialist and they will explain the possibilities to you. I am not concerned, that I can assure you. What can’t you do before the surgery and for how long should you not look at screens (phone, computer, TV)? What are the limitations before and after the surgery? The limitations for the ReLEx SMILE method are fewer than with other procedures due to the method being less invasive. Seven days prior to the surgery, you can’t wear contact lenses and no makeup on the day of the surgery (including day cream and perfume), followed by a three day rest in a darker space (and wearing sunglasses). It is not recommended to intensively stare at screens for a long time, but you can still look at them (it is not strictly forbidden). I had a surgery on Friday and during the weekend my eyes were not receiving the computer and phone screen well. I did a bit of work on Monday, but only a small amount (it’s crucial to listen to your body at this point). Limitations also apply to the usage of makeup and sport activates, but more about that in my next blog post. These limitation are not too strict and they don’t present a big obstacle in daily life after the surgery. I was actually rather surprised, how quickly I was wandering the streets, doing my regular activities and all with an excellent eye-sight! 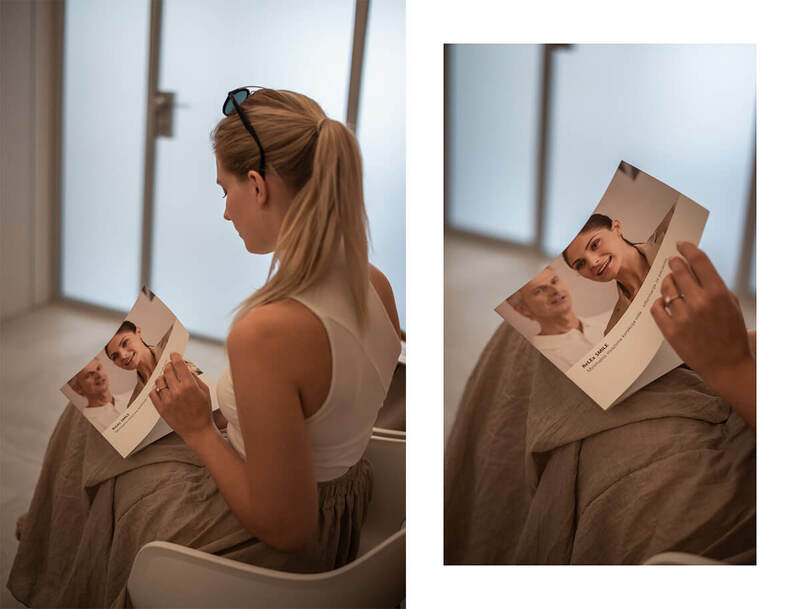 In the next blog post you will be able to read all about my experience with ReLEx SMILE eye laser surgery, how I prepared the day before, read about the procedure itself (how quickly it passed, my feelings and the opinions of Vanesa and Jan, who were in the operating room with me), my impressions and how my vision is today. Well, I can give away that today, writing this blog post, 5 days after the surgery, my eyesight is 120% percent better. Crazy!